Our fingerprint-proof rectangular recycler has two color-coded inner buckets (a blue 16L and a black 30L) to separate trash and recyclables. 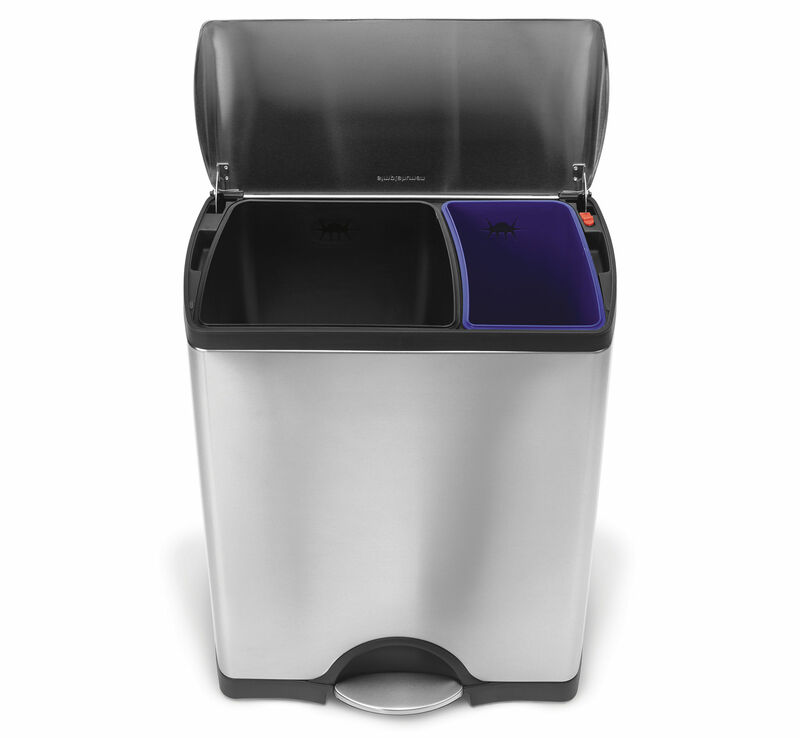 The space-efficient shape and internal hinge allow the recycler to fit close to the wall. Lid shox? slow the motion of the lid to give it a smooth, quiet close and a solid steel pedal provides superior durability.